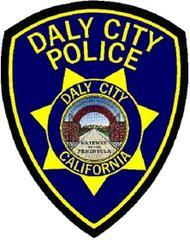 On Thursday, 01-24-19 at 11:14 p.m., a 40-year old Daly City resident reported an unknown subject came out of the shadows between two houses on the 200 block of Los Olivos Avenue and exposed himself to her. Officer Shoopman later contacted a subject in the area matching the description. The subject said he was urinating, and the victim refused to sign a citizen’s arrest form. On Friday, 01-25-19 at 11:52 p.m., Officer Edwards was dispatched to an apartment on the 600 block of Linden Street on a report of a subject screaming and “losing control”. The reporting party said the subject was possibly under the influence and was trying to leave in a vehicle. Officer Edwards met the reporting party, and she stated her roommate was yelling and left the residence. Officer Edwards found the 39-year old subject outside the residence and was staggering with his keys in hand walking towards a vehicle. The subject was intoxicated, and the officer placed him under arrest and transported him to the station for pre-booking. Officer Ciucci arrived to assist and found two pills in the subject’s pocket. The subject was arrested for public intoxication and for possession of a controlled substance. On Saturday, 01-26-19 at 2:31 a.m., Officer Hightower and Officer Premenko were dispatched to the Westlake Shopping Center parking lot near Nation’s Burgers on a report of a vehicle driving erratically within the lot. The reporting party lost sight of the vehicle as it traveled eastbound on John Daly Boulevard. Officer Premenko was able to stop the vehicle and immediately noticed the subject displayed signs of intoxication. After failing the field sobriety tests, the subject, a 22-year old San Francisco resident, was arrested for driving under the influence. On Saturday, 01-26-19 at 4:16 p.m., an 18-year old Sacramento resident was arrested for burglary and passing of counterfeit money after using counterfeit $100 bills to purchase items from six stores within the Serramonte Shopping Center. On Sunday, 01-27-19 at 3:10 a.m., Officer Ciucci and Officer Edwards were dispatched to the intersection of 91st Street and Junipero Serra Boulevard on a report of a driver slumped over in a vehicle. Officer Premenko also responded and saw the suspect was asleep, and his foot was on the brake pedal, the transmission was in reverse gear, and the vehicle was still running. The driver, a 60-year old South San Francisco resident, failed the field sobriety tests. He was arrested for driving under the influence of a controlled substance (methamphetamine), possession of a controlled substance (methamphetamine) and for possession of unlawful paraphernalia (pipe). On Sunday, 01-27-19 at approximately 7:00 p.m., a 19-year old Daly City resident was the victim of felony battery via multiple punches by a subject only described as a Filipino male adult, approximately 5’5”, 180 lbs., dressed in a dark jacket, black t-shirt and jeans. This occurred on the sidewalk in front of Kevin’s Noodle House on the unit block of Southgate Avenue. The victim reported the incident from the hospital where he was being treated for a laceration on his forehead and to take a CT Scan. The victim said he was with his girlfriend in his parked car, and they were smoking next to another parked vehicle. The victim’s girlfriend said a woman walked up to them to complain about their smoking. The victim said after they left the vehicle, a male subject carrying a 3-4 hear old child, followed them and started yelling at the victim. The victim said the subject then hit him in the face with a closed fist, causing him to fall to the ground. This investigation is continuing. On Sunday, 01-27-19 at 11:26 p.m., Officer Hightower and other officers were dispatched to the Lucky’s store on a report of a just-occurred robbery with a hammer. The night manager reported he saw a subject walked quickly toward the exit, passing the open cashiers. The manager asked the subject to return the goods, and the subject threatened to hurt the manager with a hammer that he was carrying. Sgt. Moala found the subject matching the description the manager gave to the dispatcher. Officer Hightower arrested the 42-year old San Francisco resident for robbery. There was one commercial burglary during the past week. On Monday, 01-21-19 at 10:46 a.m., three unknown female suspects stole over $2,000 worth of clothing from the Victoria’s Secret store. This investigation is continuing. There were significantly less vehicle burglaries during the past week than the week before this report. The count dropped from 15 to 6. •	In N Out parking lot on Washington Street —two iPhone charging cables were taken from a 2015 Ford Explorer. The rear window was smashed. Occurred on 01-21-19 between 8:30 p.m. and 9:15 p.m.
•	Unit block of Crestwood Drive—a drill was taken from behind the passenger seat of a 2015 Nissan pick up (victim’s work truck). The right rear window was smashed. Occurred between 7:00 p.m. on 01-21-19 and 9:00 a.m. on 01-22-19. •	Unit block of Fairway Drive—nothing was taken from a 2003 Acura MDX. The rear window was smashed. Occurred on 01-23-19 at 7:19 a.m. **A passerby thinks she may have startled the suspect as she walked past the vehicle. •	800 block of King Drive—a Northface jacket and a Sony Playstation were taken from a 2008 Nissan Rogue. The right rear window was smashed. Occurred between 10:00 p.m. on 01-23-19 and 12:00 p.m. on 01-24-19. •	The Habit Burger restaurant parking lot—a backpack containing two laptops, two headphones and a work badge was taken from a 2018 Tesla 3. An unknown window was smashed. Occurred on 01-24-19 at 9:00 p.m. **On-line report. •	Home Depot parking lot—a backpack containing a Lenovo laptop, headphones, miscellaneous school supplies was taken from a 2013 Ford Fiesta. The right front window was smashed. Occurred on 01-27-19 between 2:00 p.m. and 3:30 p.m. There were four stolen vehicles stolen during the past week. One was recovered. •	Castle Street/Mission Street—a 1991 Honda Civic. Occurred between 10:00 p.m. on 01-22-19 and 10:30 a.m. on 01-23-19. •	Unit block of Goethe Street—a 2005 GMC Denali. Occurred on 01-25-19 between 1:00 a.m. and 8:30 a.m.
•	200 block of Palmcrest Drive—a 2009 Mazda 3. Occurred on 01-25-19 at 8:30 a.m. The victim said she gave the key to her 17-year old daughter to sit in the vehicle, and she said her daughter took the vehicle without her permission. Later that evening, a South San Francisco Police Officer pulled over the suspect and arrested her. •	Serramonte Shopping Center near Crunch Fitness—a 2012 Chevrolet Cruze. Occurred on 01-25-19 at 5:01 p.m.
On Tuesday, 01-22-19 at 5:05 p.m., an 86-year old Daly City resident said she received a phone call on her landline, and the caller identification showed it was from Apple.com. The victim said she answered the call, and it was a recording advising her she had a problem with her internet service that prompted her to press #1 to talk to a representative. The victim said she talked to a male subject who knew her name and advised her she had a problem with her internet. In order to fix the “problem”, the male subject told the victim to go to the nearest store and purchase two $100 Apple gift cards to pay for his services. The victim complied, and after she gave the subject the numbers on the back of the card, the caller told her the numbers were not good, and he could not repair her internet. The victim asked the subject about her $200 she spent on the cards, and the subject advised he would reimburse her. The subject then instructed the victim to go to Safeway and purchase a Google Play gift card for $500 to pay for her internet service. The victim again asked about her money, and the subject said it would be reimbursed within the next couple of hours. The victim said the subject hung up, and she never heard back from him again. Please, please, please tell this story to anyone you know. Though it may seem obvious to you that this is a scam, these callers are very convincing and persistent. On Wednesday, 01-23-19 at 3:00 p.m., a 56-year old Daly City resident was the victim of false pretenses via an on-line mobile banking app. The victim said she applied for a $1,000 loan via an on-line mobile banking app, and soon after, she received an email from a male subject claiming her loan was approved and the company needed to do a test deposit into her Wells Fargo Bank account. The victim said she provided her information, and two deposits totaling $2,282.65 were placed into her account. On the same day, the suspect called her and told her she could send him $2,000, and she could keep the rest. The victim said the suspect told her to buy $2,000 in Google gift cards as a way of returning the test deposit. The victim said she made the purchase and then provided the suspect with the numbers and pass codes to the gift cards. Two days later, the victim said the Wells Fargo Bank notified her and said the deposits were not good and that she would have to return the $2,282.65 to make the account whole. The phone number the suspect called the victim from revealed that this number has been tied to numerous scams. The case is closed due to lack of investigative resources. I have reported this in the past, but this one bears repeating. On Friday, 01-25-19, another Daly City resident was scammed out of a significant amount of cash by a subject alleging to be from the Social Security Department. In this case, a 74-year old resident received a call on his cell phone from a subject claiming to be from the Social Security Department who said the victim’s bank account was compromised. The caller told the victim that in order to save his money, he had to go to the bank and withdraw $10,000. The caller instructed the victim to stay on the phone while he went to the Target store and purchase five $2,000 cards. The victim said he provided the caller with the numbers on the back of the cards. The victim said the caller then told him to go to the Apple Store and purchase $10,000 more in Apple store cards. The victim said the caller became threatening and stated if he did not do this, the Daly City Police would be coming to arrest him for not paying his taxes. The victim then used his debit card and American Express card to purchase $10,000 in Apple gift cards in various increments. Once again, the victim provided the numbers to the caller. After realizing he was scammed, the victim called the police department. The numbers are untraceable, and this victim lost $20,000. Please share this unfortunate story as well. The Social Security Administration does not ask for people to pay them with gift cards! Please join the City for the 27th annual Black History Month Celebration on Saturday, February 16, 2019 from 12:00 p.m. to 3:00 p.m. at the Café Doelger at Westlake Park (101 Lake Merced Boulevard). This year’s theme is “Black Migrations”, and the free celebration features guest emcee/jazz singer and entertainer Isaac Stevenson, Dimensions Dance Theater, music by World’s Famous Rick & Russ Show with CJ Flash, spoken word, door prizes and sales of soul food by Keith’s Chicken & Waffles and Yvonne’s Southern Sweets. For more information, please contact Leslie K. DuBridge at (650) 991-8190 or lkdubridge@dalycity.org.